We've tasted (and enjoyed) a few Old Pulteneys on the site before, and also referred to the Clipper Race in which Old Pulteney play a large part. 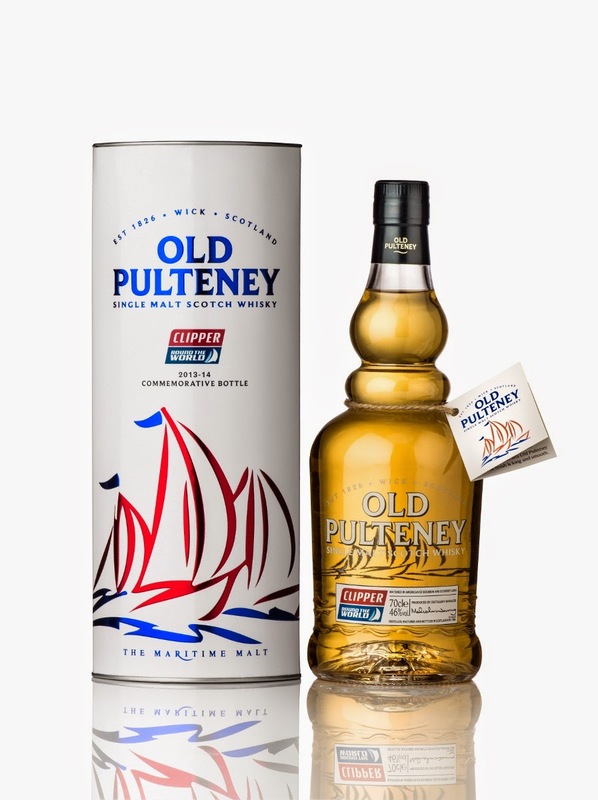 "Old Pulteney – The Maritime Malt – celebrates the completion of the Clipper Round the World Yacht Race 2014 by the crew of brave men and women on board a yacht named after the iconic Single Malt Scotch Whisky. The race started eleven months ago and saw the Old Pulteney rose of winds carried proudly to France, Brazil, South Africa, Australia, Singapore, China, United States of America, Panama, Jamaica, Northern Ireland, The Netherlands and back to the starting point in London, UK." So that's the race, but what of the whisky? "To mark the occasion Old Pulteney will release a special commemorative bottling of its whisky. Old Pulteney Clipper will be made available in July 2014 at select retailers world-wide. The limited release will feature a Clipper Round the World Yacht Race -themed packaging and the whisky itself will be a classic expression of Old Pulteney, matured in both ex-bourbon and ex-sherry casks. The whisky will be presented at its natural colour, non chill-filtered and at a premium strength of 46% ABV. Only 2,700 cases of this rare bottling will ever be released and the recommended retail price in the UK is £50. 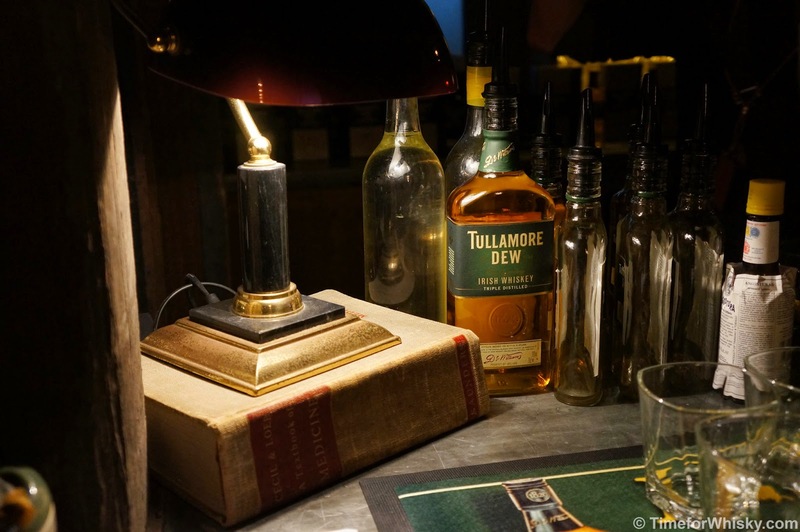 The appearance of the whisky is that of polished gold. On the nose the sweetness of dried fruits and crispiness of green apples is accompanied by notes of fresh vanilla and white chocolate. On the palate waves of honey and orange zest, a rounded oaky structure and an unmistakable coastal note set this fresh and elegant Old Pulteney apart. The finish is smooth and long-lasting." 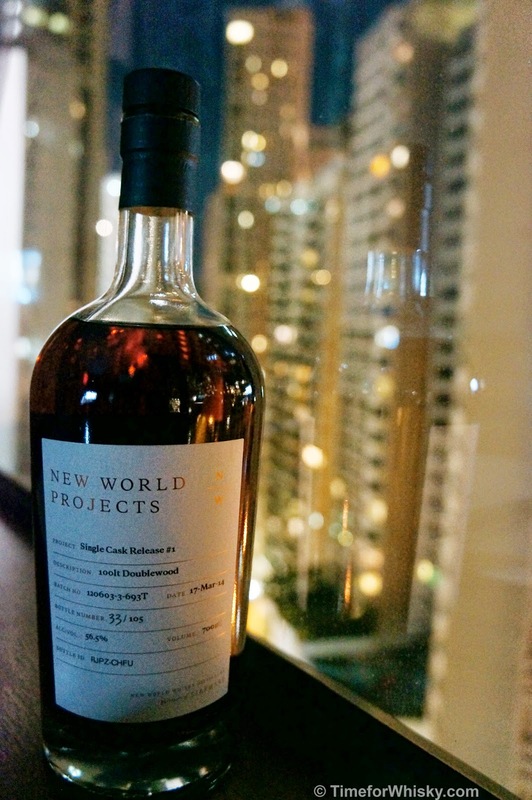 No word on Australia releases or pricing, but a NCF, 46% ABV limited release for 50gbp isn't value at all (and it looks pretty impressive too). One to look out for perhaps if travelling through the UK. "The dinner features 5 courses, matched with Sullivans Cove's whiskies and single malt liqueurs, including the world's best single malt, Sullivans Cove French Oak. Tickets are 140pp. Please contact Therese Grasa therese.grasa@hilton.com"
As mentioned a few days ago, Steph and I recently moved to Hong Kong. Having a solid 10 days off before starting work not only let us sort out all the fun admin stuff (IDs, bank accounts, etc, yawn) but also afforded us plenty of time for sight-seeing, and equally importantly, bar and restaurant exploring! 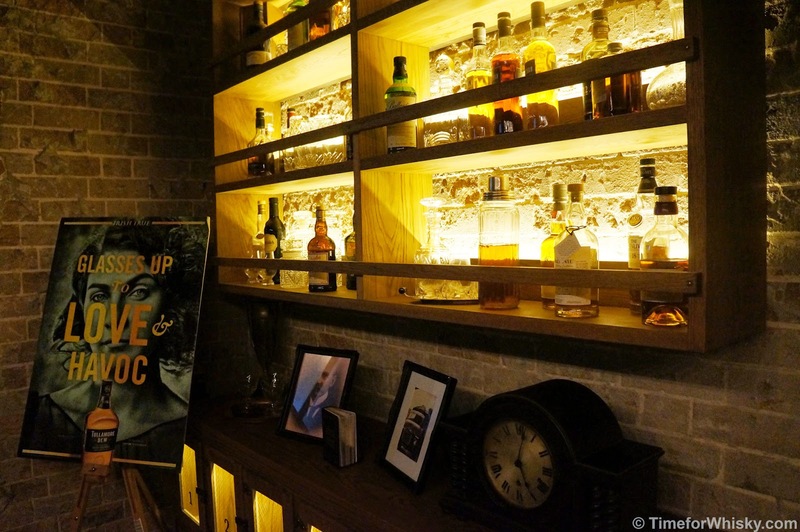 One of the bars that was high on my list of places to visit was Quinary, in the heart of Hong Kong's SOHO district. 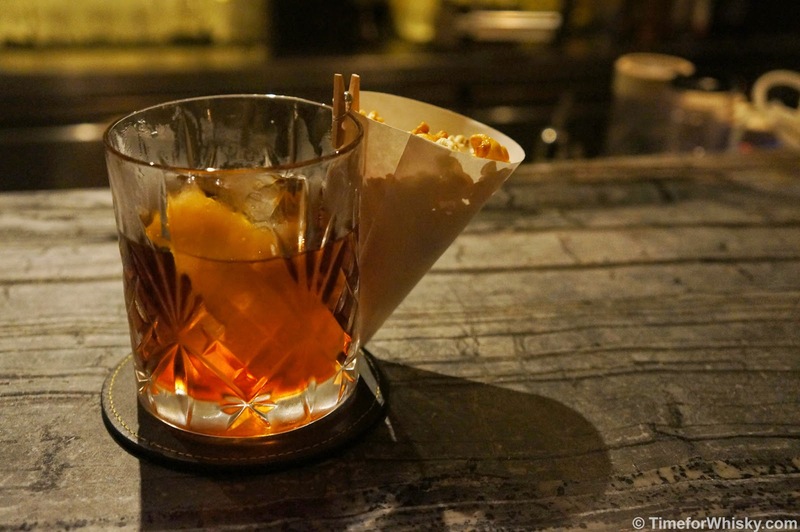 While Hong Kong has some incredible bars catering to all tastes and budgets, in the past cocktails have often taken a back seat to whisky and wine. 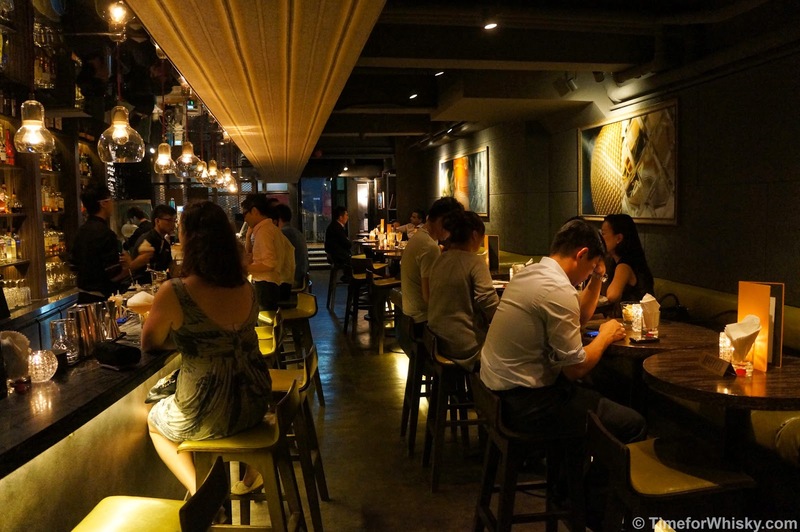 Quinary's addition to the HK bar scene in 2012 was an attempt to bring quality, unique cocktails to appreciative audiences, with an added air of molecular inventiveness. Arriving on a Monday night we found the bar lively but certainly not too busy. We found ourselves two seats at the bar (our preferred spot at any bar!) and started looking through the menu when Samuel, the bar's manager came over to say a friendly hello and talk us through the concept behind the bar. Samuel explained that Quinary is part of the Tastings Group, whose previous bars include a whisky bar called Angel's Share (review to follow, of course!) and a wine bar called Tastings. They've also recently added a fourth, gin-focused bar called Ori-Gin (which is also now high on our list of places to visit). Steph went for the bar's signature "Earl Grey Martini", with vodka, elderflower syrup, apple juice, Cointreau, lemon & lime and earl grey caviar pearls (fun to see being made right in front of us). A playful cocktail with a mix of foam, liquid and solid edible "pearls". In a city with 100% tax on spirits (yes, feel my pain fellow Aussies. We also left 95% of our whisk(e)y collection in Australia due to customs limits!) the prices were quite reasonable and were about what you'd expect for a quality establishment making cocktails such as these. 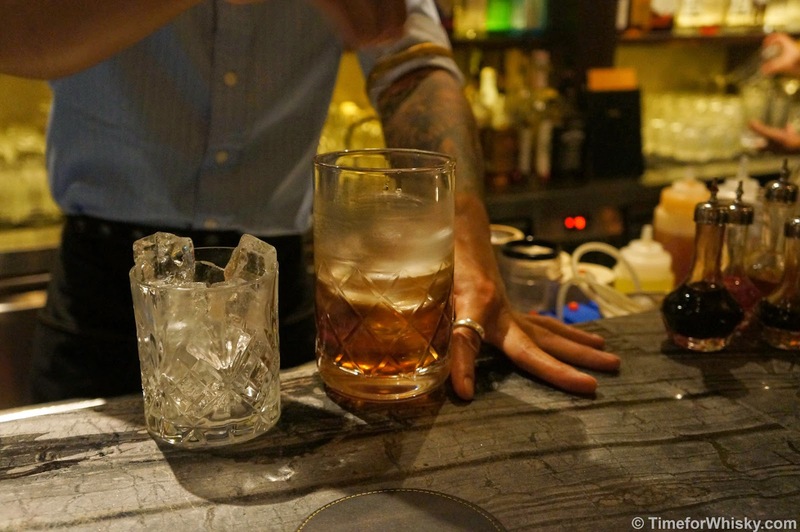 Most were in the $120-$150HKD ($17-$20AUD) range, which is no different to similar bars in Sydney/Melbourne. 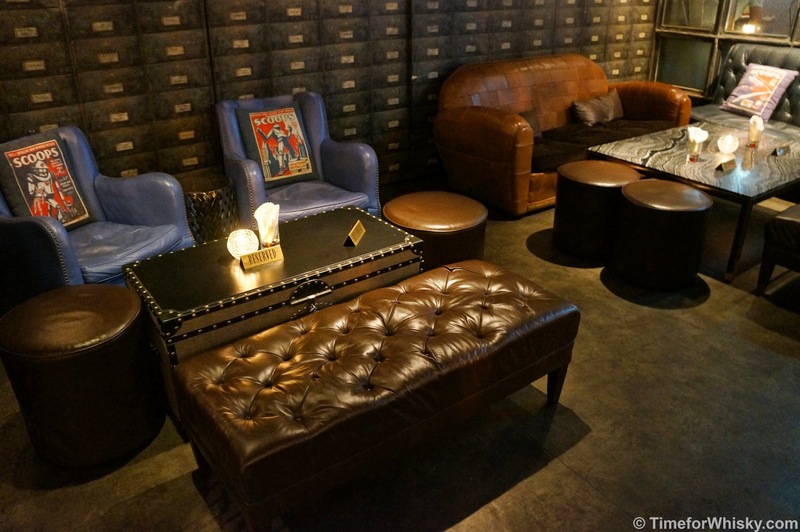 So, we've found our "go to" cocktail bar, but what about a whisky bar? Stay tuned...review to follow this week. 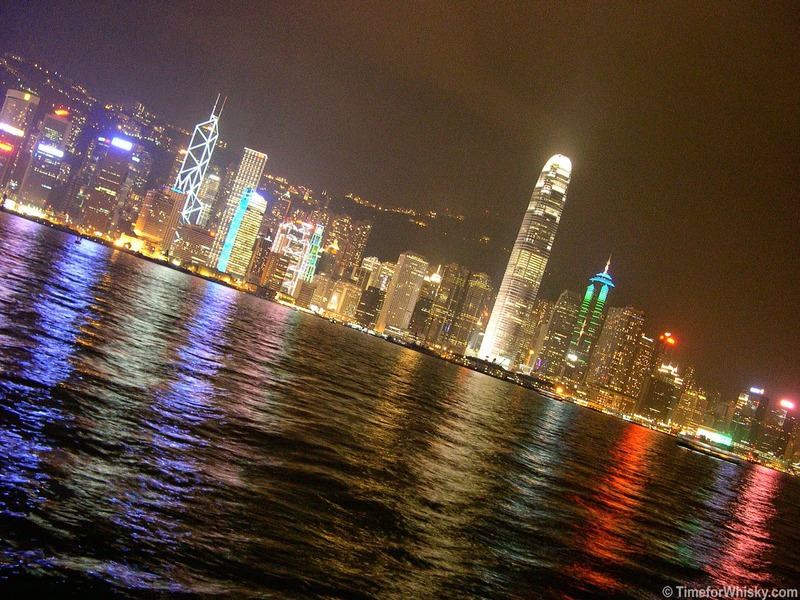 As some of our Twitter followers may have noticed, we've been posting a few tweets from Hong Kong over the last week. The reason for that is, life outside of whisky blogging (i.e. our day to day jobs) has given Steph and I the opportunity to move to Hong Kong, and we've taken that opportunity. Permanently! That doesn't mean TimeforWhisky is going anywhere mind you. Quite the opposite. As well as continuing to cover Australian events, bars, releases, news and tasting notes (more on that below), we're now going to start covering the same in Hong Kong (and broader Asia) too. When we started this blog (just under) 2 years ago, it was as a hobby to take our love of whisky, and share it with a broader audience. Fast forward two years and we feel we've done that, and built up a great following in the process. Just as importantly though, we've met a fantastic group of people (bloggers, brand ambassadors, hospo folk, PR peeps and whisky fans in general) and have made some great mates. While we're sad to leave this "behind" (I use that term loosely - between Twitter, Facebook and e-mail the whisky community is always connected!) we're excited to grow the same in Asia, which as many of you would know is an incredibly fast-growing region for whisky consumption and (more importantly) appreciation. 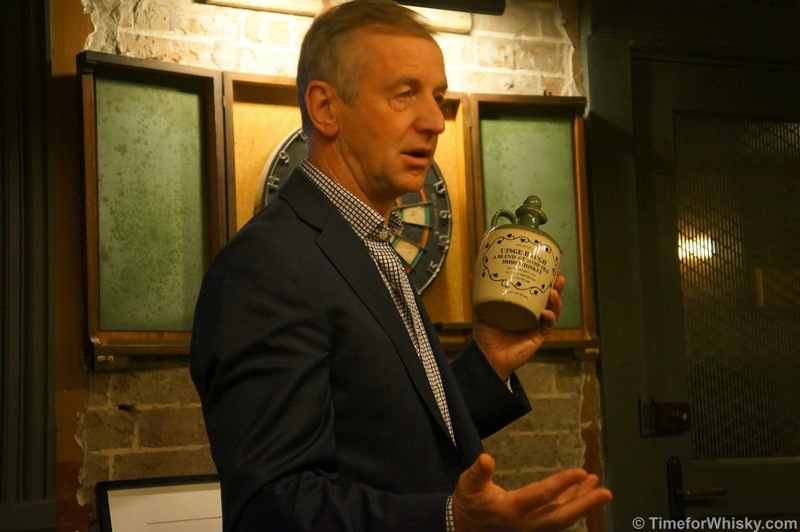 "Hendy is a late bloomer in the whisky and whisk(e)y world. Upon being served a dram of Aberlour A'bunadh (still a favourite) in 2009, he hasn't looked back. A risk-averse technologist by day and whisk(e)y lover by night, he now enjoys everything whisk(e)y. From the peaty, medicinal Laphroaig to the everyday all rounder Dalwhinnie, he has learnt to appreciate the spectrum. Over the past few years, he has progressively enjoyed different whisk(e)y varieties from abroad as well as locally and is now all too excited about all things whisk(e)y." So, expect the same Australian coverage, tasting notes, events and posts that you're used to - just expect them to also now come from Asia too! Steph and I have only been here for a week and have already scoped out a few great whisky bars (including one with an amazing selection of Japanese whiskies and another with their own full-sized cask of Glenlivet(!) - reviews to follow soon, so I think we (and by extension, readers of this blog) are in for a whisky adventure! due to the 1L per person Customs limit. The event, held at the brilliant Grounds of Alexandria (in the intimate "Lock-in" bar within the recently opened Potting Shed) saw a small number of Irish whiskey fans, whisk(e)y bloggers, PR and lifestyle bloggers gather to deconstruct the various elements of Tullamore D.E.W, and hear more about the whiskey, and its new distillery due to start production in September. 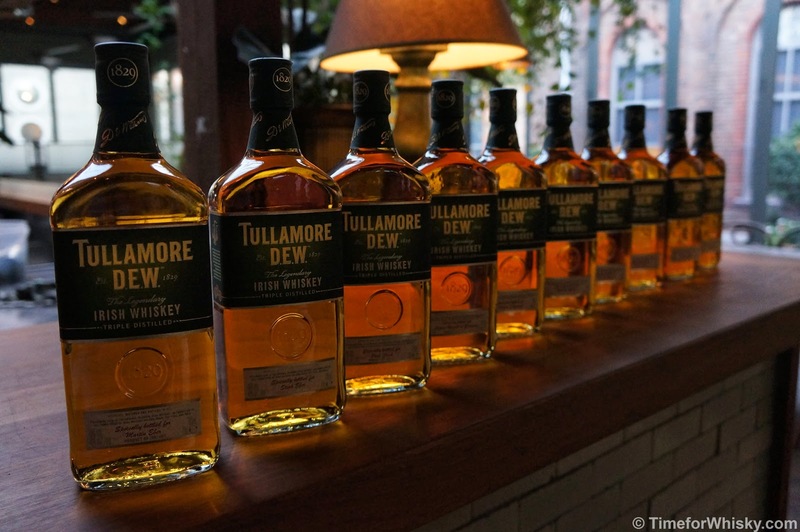 As some readers may have seen a few weeks ago (especially those on Twitter), we recently advertised a competition (run by and in conjunction with Tullamore D.E.W) to win two tickets to an afternoon of tasting with Tullamore D.E.W's global brand ambassador, John Quinn. 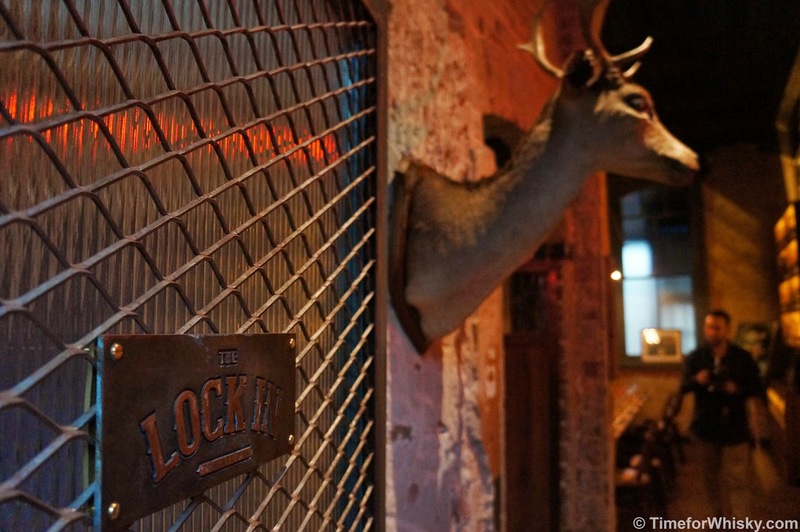 I have to say the "Lock-in" was one of the most photogenic venues I've had the pleasure of attending. 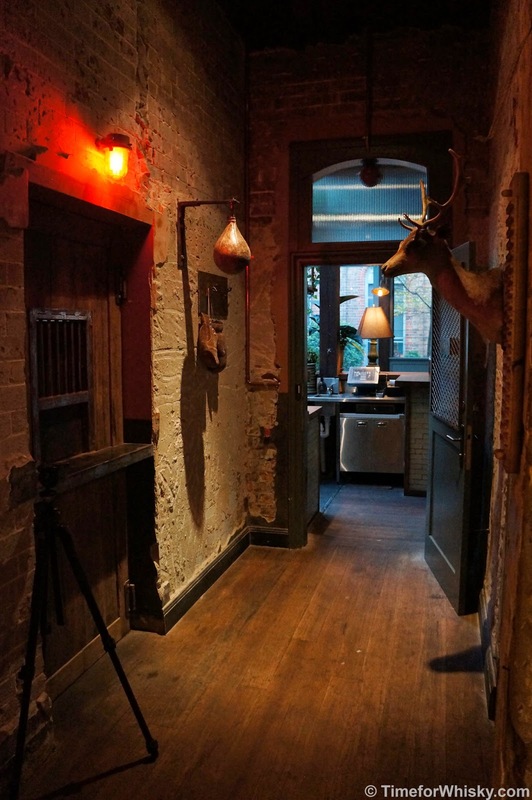 Perfectly suited to an event like this, and with stunning whisky/spirits paraphernalia at every turn. If you ever get the chance to attend and event here, do (or just go for a drink when it's open to the public). Small and intimate, but a stunning venue. All the photographing made for thirsty work though (as it often does...) and refreshments were never far away - starting with a "Moondance" cocktail (by Pasan Wijesena of Newtown's Earl's Juke Joint), a blend of Tullamore D.E.W whiskey, Green and Yellow Chartreuse, St Germain Elderflower liquer, fresh lemon juice and peach bitters. Tasty and refreshing - perfect for a mild winter day. 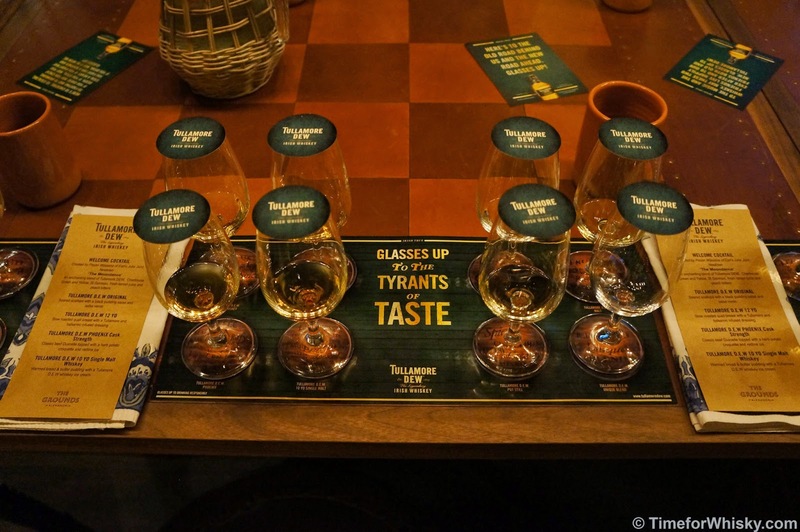 After cocktails were drunk and photos were taken, it was time to get down to the business of Irish whiskey tasting, and we only needed to glance at the tasting mat to realise we had just a few to get through (7 to be exact...). John, a genuinely nice, affable bloke, started by giving us a history of the distillery (named with a unique combination of the town it was first built in and the founder's initials - Mr Daniel E. Williams), his own history within it (including 40+ years within the broader Irish whiskey industry), and took us right up to the current ownership by William Grant & Sons and plans for the new distillery (for which John has a clear passion). 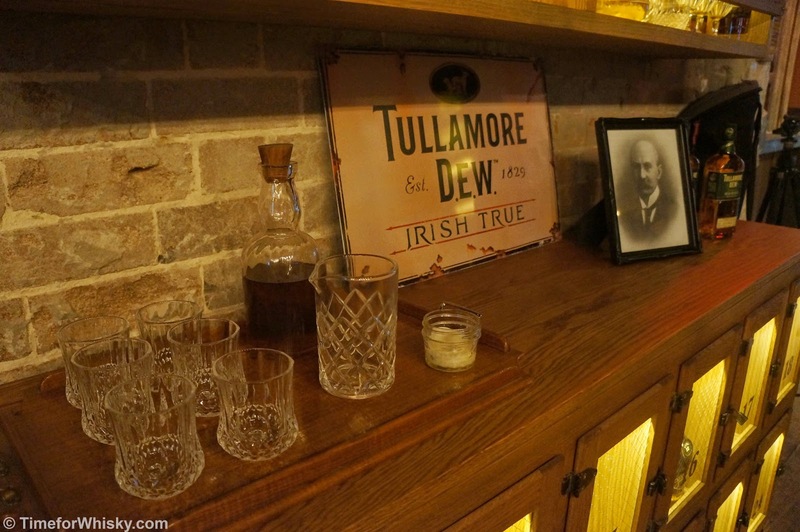 Triple-distilled (like a lot, but not all Irish whiskey), with a makeup of 60-70% grain (corn). Nose: Light, fruity - apples, with some spice. Palate: Still light, toasty, almonds and apples. Finish: Short, nutty (those almonds from the palate), with a final hint of spice at the end. Colour: Light straw - Chardonnay. Palate: Spirity, still grapes, almost with a hint of Raki. Some molasses. Finish: Long, boiled lollies and more molasses. Reminded me of an O.P rum, though not Bundy! Nose: Tropical fruits, Juicyfruit, peaches. Palate: Reminded me instantly of a Balvenie 12yo, but more malty and a bit harsher. Finish: Long and malty, sweet vanilla. Tannic at the end. Distilled from a mashbill mixture of both malted and unmalted ("green") barley. Nose: Spirity but also creamy. Palate: Big (felt bigger in ABV than the previous two), spirity and creamy. Whipped cream and custard. Finish: Long, with cinnamon spice at the end. Rating (on my very non-scientific scale): 87/100. This seemed to be a crowd favourite but I much preferred the malt component. Double-distilled at the Cooley distillery and finished in four different types of casks (old bourbon, dry Oloroso sherry, port and madeira) after spending 8.5 years in ex-Bourbon casks. Nose: Tropical fruits, pineapple and white peaches. Palate: Light, still tropical fruits, but primarily overripe bananas. Finish: Medium to long, sultanas and Christmas pudding (very little of the tropical notes on the nose and palate)! Palate: Fruit compote - stewed fruits (apples, apricots) covered in cream. Some honey, spice and hazelnuts too. Finish: Medium to long, nutty. Named after a hot air balloon disaster which saw a third of Tullamore destroyed in 1785, and the subsequent rebuilding (both physically and spiritually) of the town, including the building of the distillery itself in 1829. Palate: Cherries, Christmas pudding, raisins, berries. Finish: Long, creamy. Dark chocolate. 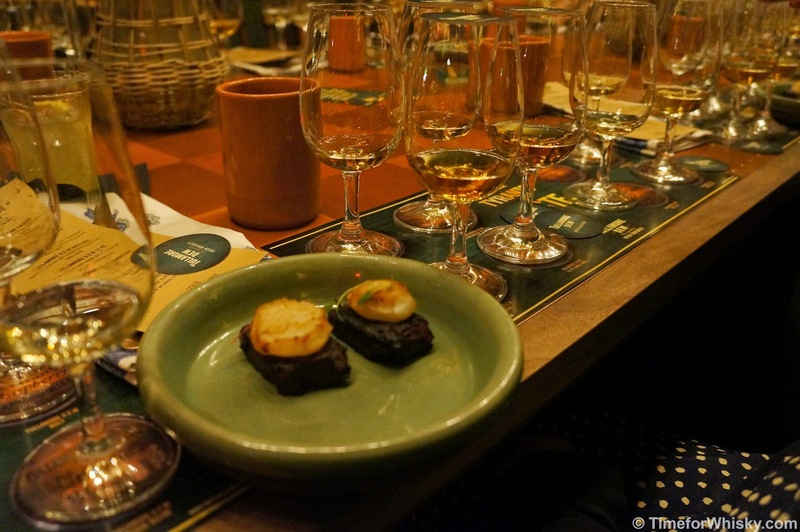 With all that whiskey on tasting, it was only responsible for food to be served, and the event didn't disappoint, with matched canapés for each course, including seared scallops, slow-roasted quail breast (a great match with the 12yo, probably due to the Tullamore and balsamic dressing! ), beef Duxcelle and bread & butter pudding. 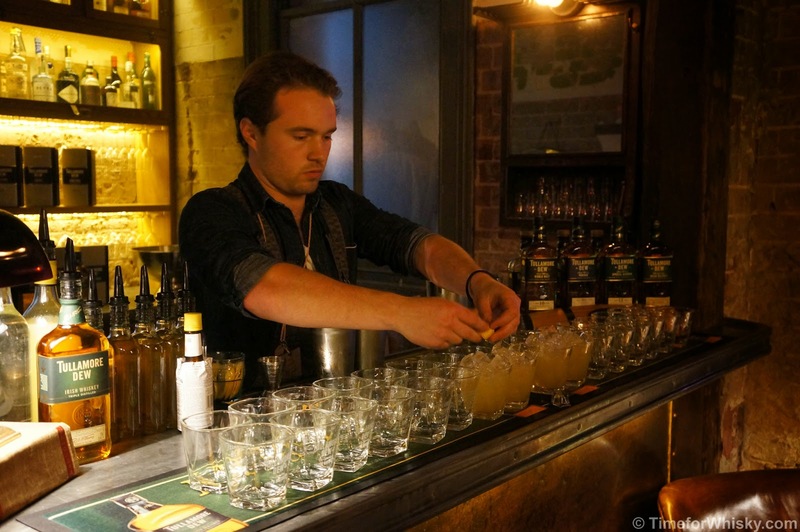 William Grant & Sons have run these deconstructed tastings in Sydney before (focusing on Glenfiddich), and it's not hard to see why. They're unique, interesting, and give people a fascinating insight into the various components that actually go into making the whiskies they drink. I personally would love to see more brands running these types of tastings. 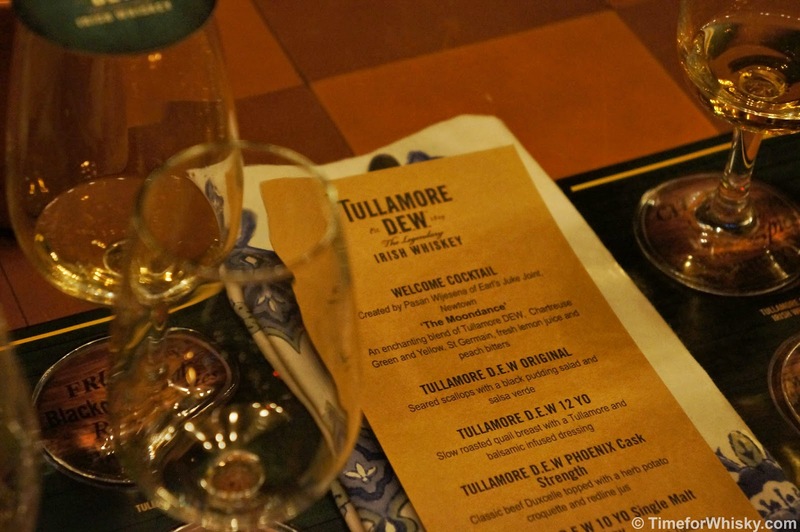 A big thanks is due to Tullamore D.E.W/William Grant & Sons, and Weber Shandwick for another fantastic event. 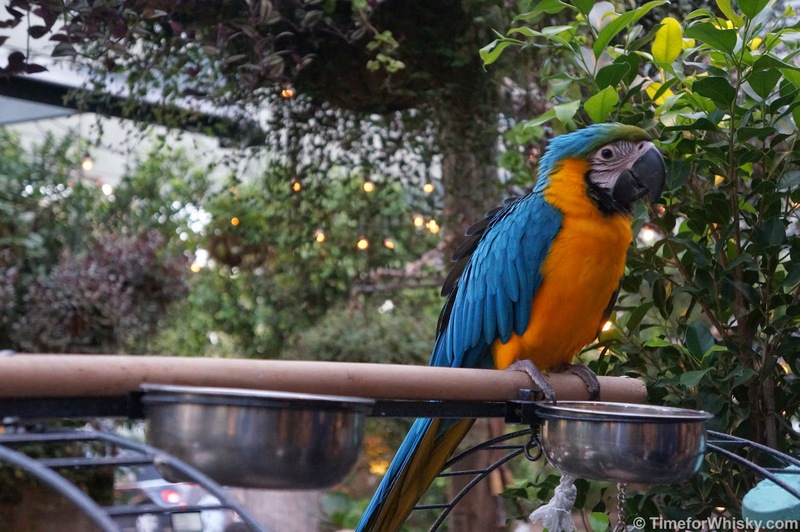 PS: If you do pay a visit to the Grounds, make sure you drop in on "Fluffy" to say hi!